The H. Lee House Cultural Center and its rear courtyard are available for public rentals. 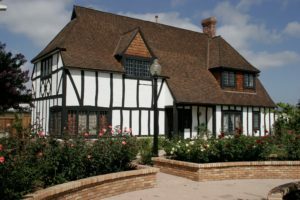 If renting both the house and the courtyard, contact the Lemon Grove Historical Society at (619) 460-4353, or lghistorical@gmail.com for availability. 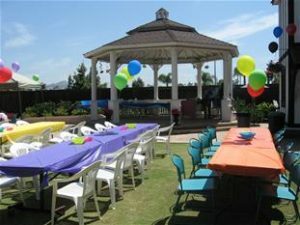 To rent only the Gazebo Courtyard, please contact the City of Lemon Grove at (619) 825-3815 for rates and availability. Courtyard amenities include a charming gazebo, bricked and grassy outdoor patio area, handicapped accessible restrooms, power source, and overhead lighting for evening events. The setting is appropriate for weddings, baby showers, receptions and other social events, as well as club, corporate or business meetings.